In a previous post, we considered the identity of Pharaoh’s daughter and concluded there does not seem to be enough evidence to settle on any one name with confidence. However there is information about daughters of pharaohs in general which could have a bearing on the Moses story. Though we can’t answer the following conclusively, we’ll explore a couple of general questions regarding this elusive princess: who her mother was, and where she might have lived. If she was a daughter of Pharaoh’s principal wife, it’s probable that she would have lived in the environs of the royal palace. If, however, she was the daughter of a secondary wife, she and her mother could have taken up residence in one of many royal compounds scattered throughout Egypt. In that case, Pharaoh would visit or call for them as he desired. Some may wonder about the role of women in Egypt. According to Nahum M. Sarna, in his book, Exploring Exodus (1986), the social and legal position of an Egyptian woman was considerable. “Descent was strictly matrilineal, so that property descended through the female line. This meant that the woman possessed inheritance rights and could dispose of property at will. As a result, she enjoyed a certain measure of economic independence” (p. 31). It should not seem strange that Pharaoh’s daughter made several on-the-spot decisions with confidence and without apparent reservation (Ex. 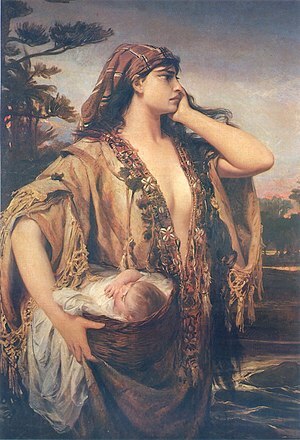 2:1-10), likely based not only on her position generally, as a woman in Egyptian society, but especially on her place within the royal family. Wet-nurses were hired to care for foundlings. Ancient Mesopotamian legal texts provide specifics for proper payment regarding such services. 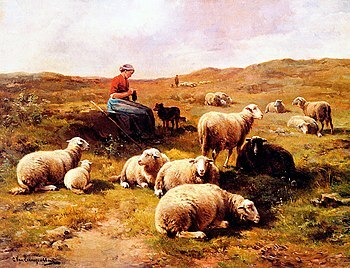 Typically, a wet-nurse suckled and reared a child in her home for a specified period of time, usually two to three years, until it was weaned. Then it was returned to the finder for adoption. The account in Exodus 1 records an interesting departure from the normal procedure. Royal wet-nurses were generally members of elite families, perhaps wives or mothers of high officials. This connection brought with it a certain prestige, one which could result in possible advancement in rank for their husbands and sons. For Pharaoh’s daughter to listen to a young Hebrew girl and follow her suggestion to enlist the services of an unknown woman, represents, to my mind, evidence of the providence of a much higher Power in this whole episode. Of course, there is no doubt as to Jochebed’s ability to nurse her own baby. Her breasts were probably aching for relief by the time Moses was once more in her arms. However, what she might have done additionally, in the long term, is well worth contemplating. There are those who speculate that this mother had carefully planned for her baby’s rescue, positioning him deliberately in a place where Pharaoh’s daughter would find him. Why, one might wonder. Had she secretly watched this princess over time, and knew vicariously her disposition for kindness? Did she have a God-given understanding that hers was no ordinary son and that his future would require the best education the world of her day could offer? Did she feel that the safest place for him would be in the care of this royal princess–one whom Jochebed knew to be influential and strong-minded enough to set aside her father’s bloody policy? Others discuss a different matter. 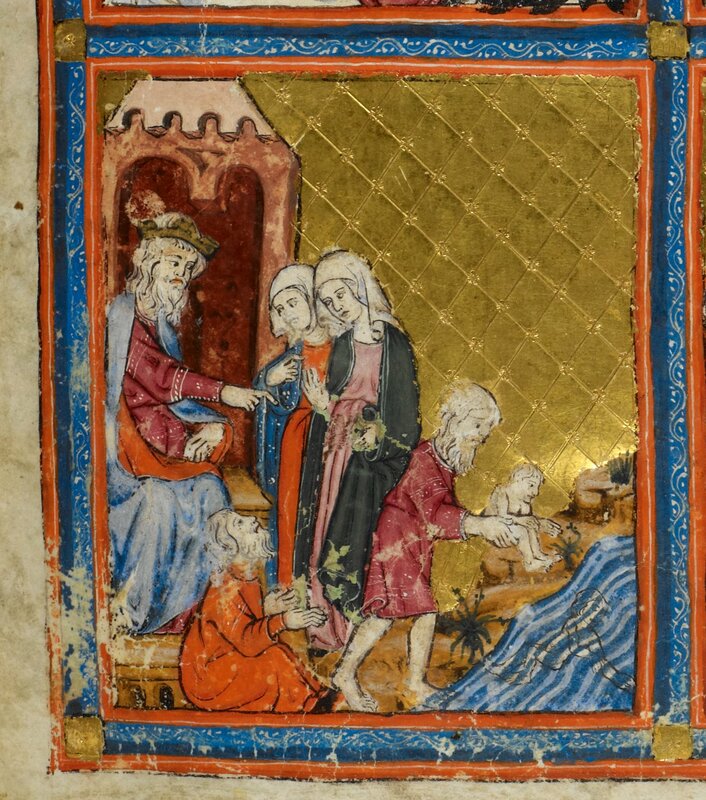 Since Jochebed likely had Moses for three years or longer, what did she do during that time? Several feel she carefully laid a foundation for his eventual worshipping of the God of Israel. She was a daughter of Levi (Ex.2:10) and according to one source her name (Hebrew yokebed) apparently means “YHWH is glory.” She is noted as the first person in the Bible to have a name with the divine element yah, a shortened form of YHWH. Does her name indicate that she came from a family of believers who worshipped the true God? Such a notion seems worth considering. If the ruling pharaoh was indeed Thutmose III, he worshiped a form of the sun god (sometimes depicted as a sphinx), Amun-Re. It would have been important to introduce knowledge of the true God of Israel to Moses early on. 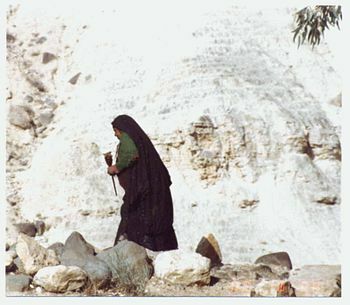 Stephen, in Acts 6:20, says “Moses was born and was well-pleasing to God,” indicating that God was already involved in his life, beginning with his brave and faithful mother. The young prince would have sported the typical haircut for Egyptian boys of his day—a shaved head except for one long lock on the side, which was braided. Moses undoubtedly spent much time perfecting his skills at archery and horsemanship—both favorite pastimes of that dynasty. Learning languages and the geography of his land would have been important as well. Slowly and surely he was being equipped with skills that would serve him in the challenging days to come. In Davis’s words, what we know is a “remarkable example of the excellency of the providence of God” (p. 56). Moses spent forty years in Egypt before he went into exile in Midian. We’ve managed to piece together a collage of what life might have been like into his early adulthood. The Jewish historian Josephus records another bit of his story in The Antiquities of the Jews, Book 2, Chapter 10. According to his account, when Moses had reached full maturity, he was appointed general of the Egyptian army, went against their enemies, the Ethiopians, conquered them, and returned victorious. The Bible nowhere mentions this activity. 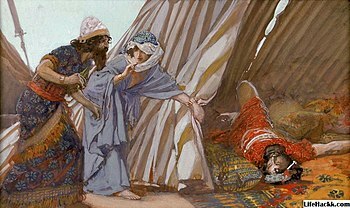 So far we have noted five memorable women whose presences figured prominently in the epic story of Moses: Shiphrah and Puah, Pharaoh’s daughter, Jochebed, and Zipporah —all heroic figures, all courageous in dangerous times. One woman yet remains—Miriam—the subject of our next post. Citation in Moses and the Gods of Egypt (1971), John J. Davis, p. 52. See Exploring Exodus, p. 32. Women in Ancient Egypt (1993), Gay Robins, p. 89. See Barnes’ Notes and Jamieson, Fausset and Brown Commentary regarding Ex. 2:4-5. Josephus seems to think so. See The Antiquities of the Jews, Book 2, Chapter 9.3; 9.4. Women in Scripture (2000), Carol Meyers, Gen. Ed., p. 103. Jamieson, Fausset, and Brown Commentary, Electronic Database. Copyright © 1997, 2003 by Biblesoft, Inc.
 Moses and the Gods of Egypt, p. 55. Ibid. 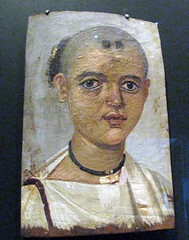 Davis comments that this hairstyle was actually found on a mummy of a young boy. Posted in Bible women, Courage, Egyptian education, Hair, harem, Hebrew slaves, jochebed, Moses, Nursing, Occupations of Bible women, Pharaoh's daughter, Uncategorized. Bookmark the permalink. Today it is not uncommon to ask a new acquaintance, “Do you work?” This usually provides a hook for further conversation. The obvious answer is yes, for all women work carrying out the necessities for daily life. The subtext of the query is, are you employed and what do you do? Working away from home for money is rather a modern concept in the history of women. After all, it was only during and after World War 2 that women began to figure prominently in the workplace in the United States. For thousands of years women (and children) of the world have worked in the home and alongside men in their fields or businesses in order to keep family and community alive. It is likely that if Old Testament women received pay for their labors it was in the form of rations of food and grain, thereby shoring up reserves necessary for survival until the next growing season. Much of a woman’s time anciently was spent tending a family, and growing, cooking, and preserving food. If she was not diligent in carrying out her responsibilities, the results could be deadly. By the time of the first century, women had ventured further into arena of business and commerce. Author Lynn H. Cohick observes, “We must not imagine women, especially poor women (who with poor men made up the vast majority of the ancient world), tucked away in their homes, secluded from economic activity. Inscriptions, epitaphs, and visual art all suggest the active presence of women in the economy of the ancient world” (Women in the World of the Earliest Christians, 2009, page 241). Nehemiah 3:12 Shallum and his daughters “made repairs” during the rebuilding in Jerusalem. Judges 4:4, 4 Deborah functioned as a judge. Exodus 1:15, 16 Shiphrah and Puah were midwives. Proverbs 31 contains several examples of a woman skilled not only in managing a home but one who was knowledgeable in the world of trade, real estate, and commerce. In the next posts, Mary Hendren will visit a couple of New Testament women known for their commercial ventures. Much discussion of women during the first century focuses on these two, Lydia and Priscilla, as they are the prominent examples of businesswomen of the time. Posted in Lydia, New Testament businesswomen, Occupations of Bible women, Priscilla, Proverbs 31, Uncategorized. Bookmark the permalink.